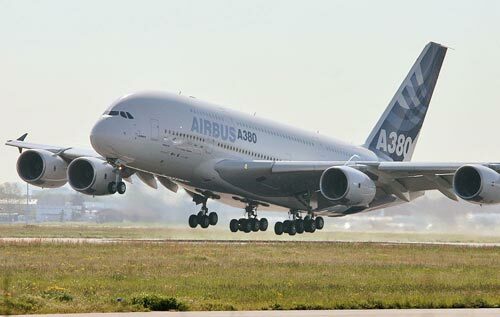 Airbus has been ordered by The European Aviation Safety Agency (EASA) to inspect the wings of all 67 A380 superjumbo planes currently in service. Airbus said the cracks were not an immediate threat to safety and that repairs would be carried out if any damage was found. Last month, EASA ordered checks of 20 A380 jets worldwide. Following the earlier checks, Qantas Airways, Australia’s largest carrier, said on Wednesday it had suspended the use of one of its Airbus A380 passenger jets for as long as a week after discovering 36 small cracks in key wing components. Qantas workers found the cracks, measuring less than 2cms long, in the wing rib feet – the metal brackets that connect the wing’s ribs to its skin. The discovery was made after the aircraft hit severe turbulence on a flight from London to Singapore last month. Qantas said the cracks were not related to the turbulence, but to “manufacturing issues”. Singapore Airlines, which took delivery of the first A380, has also repaired some of its A380s after finding cracks, and has since put the jets back into operation. The wings, land gear and fuel systems of the A380 are made at plants in Broughton, near Chester, and Filton in Bristol. The A380 was first unveiled in January 2005, but production delays meant deliveries did not start until October 2007. In addition to Singapore Airlines, Emirates and Air France are among the firm’s biggest customers for the jet.